KALAMAZOO, Mich. – New England-Style beers from a New England brewery will soon be coming to store shelves and tap handles throughout Michigan. Lord Hobo Brewing Co., recently named one of the fastest growing craft breweries in the country, is partnering with Kalamazoo-based Imperial Beverage for a statewide launch. New England-Style beers, typically IPAs or Double IPAs, are one of the fastest-growing beer trends in the United States. They are best known for their hazy appearance, low bitterness and exotic flavors and aromas of tropical fruits. “Imperial Beverage has a proven track-record of innovation and we’re excited to team up with them to bring our beer to bars and retailers throughout Michigan,” said Bill Dillon, vice president of sales at Lord Hobo Brewing Co. “There’s no question Michigan is home to some of the biggest craft beer lovers in the country, and we’re eager to show them what fresh New England-Style beer – straight from New England – is all about. 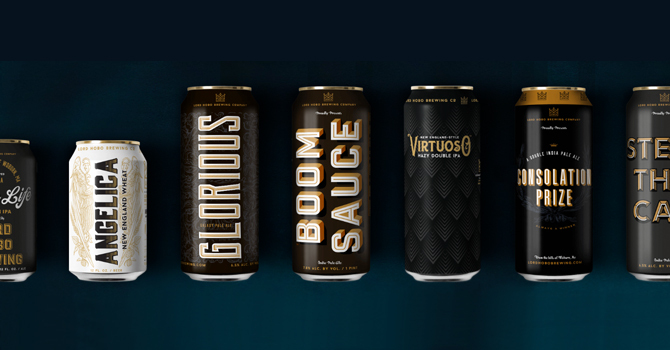 Virtuoso typically isn’t released until later in the spring, however Lord Hobo Brewing Co. brewed a special batch to mark its Michigan launch.